There’s more news on two new pubs (or in one case, a sort of revamped and renamed pub) that we’ve been eagerly anticipating at Get to the pub.com recently. Specifically, the opening dates have been announced for both of them. The Greystones in Sheffield, which opens on 4 November, used to be the Highcliffe and is set to become a sort of flagship pub for the Thornbridge Brewery. 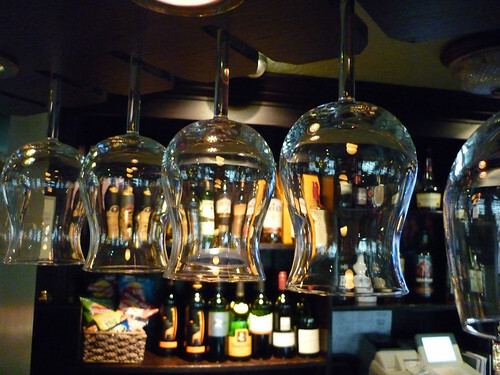 Its community pub blueprint sounds exemplary and its website is already promising big things. London’s Euston Tap, meanwhile – from the people who brought you the fabulous Sheffield Tap – will pull its first pint the very next day. I’m a bit scared it’ll be too busy to breathe. 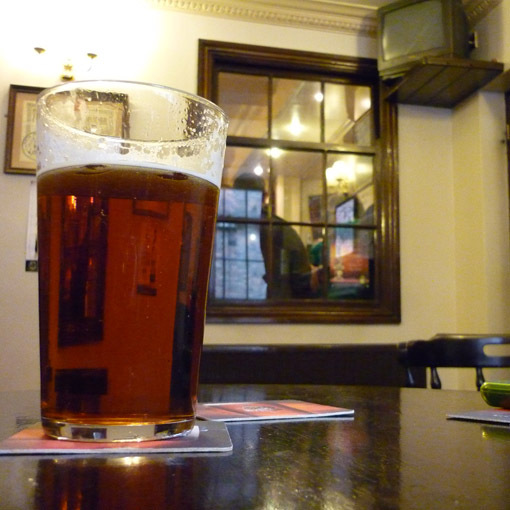 Oh, here’s a quiz about real ale. And if you’re anywhere near the Rutland Arms in Sheffield this Friday, by the way, I’ll be there giving a reading of the piece I wrote about the Rutland earlier this year for Get to the pub.com. It’s part of an evening of Rutland Arms stories run by the Walkley Feral Writers group as part of the city’s Off The Shelf literature festival. If you fancy it, it starts at half seven. Mine’s a pint. Last week we pondered the curious spectacle of current affairs programmes being televised in pubs in the absence of live action from the UEFA Champions League. This week, on Wednesday, there’s an evening of Britain’s new favourite spectator sport: televised Chilean miner rescue. There are students around us, coexisting in perfect peace with the indigenous population, despite some of them speaking with that student accent that only students speak. There’s some kind of music thing happening upstairs, but without anyone much being there: maybe a jazz band is using the space to practise. There’s snooker going on in the twilight of the snooker room, with a lavish spread of rolls and a big pot of stew laid on by the pub. There are easy-drinking pints of Blanco Blonde from the Sheffield Brewery Company, just a mile or so down into the Don valley, and every pint comes with a genuine free smile. 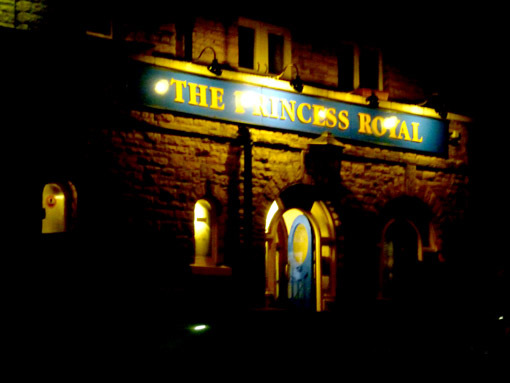 It’s another night at the Princess Royal – a pub at the heart of the community, doing everything just right. On Thursday evening I’m heading into town for a band practice, but the First South Yorkshire bus driver is so rude that I’m forced to go for a beer in the Rutland Arms just to recover myself. The beer is one from the Salamander Brewing Company. I’m afraid I can’t remember the name of it (and Salamander’s frankly rubbish website has no intention of telling us) but I can tell you it’s another Rutland pale ale win, as delicately yeasty and rounded as a perfect pizza base. After practice Dan and I are in the Grapes again. As well as owning the practice studio, our friend Tufty works at the Grapes. So over the course of a year the pub does fairly well out of our band taking the studio keys back to Tufty and staying for a couple of pints of Absolution. I wouldn’t say it’s lacking in atmosphere tonight, but several times I catch myself glancing towards the door to check whether half a dozen people are carrying a coffin in. And we worry about diddly-dee tunes displacing indie gigs from the upstairs stage when the manager and clientele move in from the Dog & Partridge a few yards down the street. But at least this Irish influx ought to bring a bit of life into the place. I know there are better pubs in Chesterfield than the Barley Mow (featured here on Get to the pub.com just last week) but I’m meeting my girlfriend for lunch on Friday and it’s kind of convenient. The choice of ales is uninspired but they’re excellently kept and served: my Bombardier is refreshing, pleasingly balanced and not too cold. But the best thing about the Barley Mow was the veggie sausage baguette – until the point at which they replaced the proper veggie sausages with those vile things made out of carrots, peas, potato and rice all glued together and fried. Next time we’ll look somewhere else. Having the day off work, I decide to pop down to Derby and visit the Brunswick Inn. The Brunswick has a great reputation as one of the finest pubs in one of the best pub cities in England, and has been recommended to me many times. So, I reason, if I pop along there this afternoon the advantages will be twofold. For one thing, I’ll enjoy some excellent beer brewed right there on the premises in an interesting pub. And for another, everyone will finally stop nagging me to go there. The Brunswick, I’m happy to report, lives up to expectations and will soon become the next featured pub here at Get to the pub.com. The only problem now is I can’t wait to go again. At lunchtime on Saturday the Rutland Arms in Grimsby serves its habitual purpose as my preferred football pub for some pre-match moping. It’s on Saturday evening, though, back home in Sheffield, that this week in pubs reaches a sublime zenith. I guess the excellent food at the Fat Cat has misled me into thinking of the place as primarily a lunchtime pub. Our friend Dan puts me right: it’s his birthday boozer. We cram into the small room on the right, pressing elbows with strangers at the bar, straining to talk, gulping velvety midnight Salamander Stout, carefully sipping at the rich, powerful Thornbridge Halcyon, a towering edifice of a beer, imposing as a cathedral. We spread across three or four tables, swapping conversational partners with scandalous promiscuity, lining up topics like pints of a perfect session beer. And we go on. We go on valiantly through to chucking-out time. It’s a fine, fine Saturday night in a pub that’s just wonderful any time of the week.